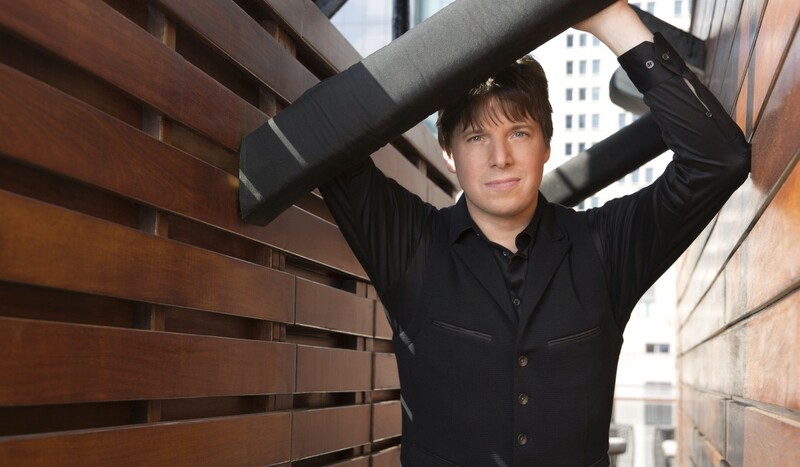 With a career spanning over thirty years as a soloist, chamber musician, recording artist, conductor and director, Joshua Bell is one of the most celebrated violinists of his era. Named the Music Director of the Academy of St Martin in the Fields in 2011, he is the only person to hold this post since Sir Neville Marriner formed the orchestra in 1958, and recently renewed his contract through 2020. Bell’s interests range from the repertoire’s hallmarks to commissioned works, including Nicholas Maw’s Violin Concerto, for which Bell received a Grammy® award. He has also premiered works of John Corigliano, Edgar Meyer, Jay Greenberg, and Behzad Ranjbaran. Committed to expanding classical music’s social and cultural impact, Bell has collaborated with peers including Chick Corea, Wynton Marsalis, Chris Botti, Anoushka Shankar, Frankie Moreno, Josh Groban, and Sting. In Spring 2019, Bell joins his longtime friends, cellist Steven Isserlis and pianist Jeremy Denk, for a ten-city American trio tour. Through music and technology, Bell further seeks to expand the boundaries of his instrument. He has partnered with Embertone on the Joshua Bell Virtual Violin, a sampler created for producers, engineers, and composers. Bell also collaborated with Sony on the Joshua Bell VR experience. As an exclusive Sony Classical artist, Bell has recorded more than 40 albums garnering Grammy®, Mercury®, Gramophone and ECHO Klassik awards. Sony Classical’s most recent release in June 2018, with Bell and the Academy of St Martin in the Fields, features Bruch’s Scottish Fantasy and G minor Violin Concerto. Bell’s previous release, For the Love of Brahms in 2016, includes 19th-century repertoire with the Academy, Steven Isserlis, and Jeremy Denk. Bell’s 2014 Bach album, featuring Bell conducting the Academy in Beethoven’s Fourth and Seventh Symphonies, debuted at No. 1 on the Billboard classical charts. In 2007, a Pulitzer Prize-winning Washington Post story, on Bell performing incognito in a Washington, D.C. metro station, sparked a conversation regarding artistic reception and context. It inspired Kathy Stinson’s 2013 children’s book, The Man With The Violin, and a newly-commissioned animated film. Bell debuted the 2017 Man With The Violin festival at the Kennedy Center, and, in March 2019, presents a Man With The Violin festival and family concert with the Seattle Symphony. Bell advocates for music as an essential educational tool. He maintains active involvement with Education Through Music and Turnaround Arts, which provide instruments and arts education to children who may not otherwise experience classical music firsthand. Born in Bloomington, Indiana, Bell began the violin at age four, and at age twelve, began studies with Josef Gingold. At age 14, Bell debuted with Riccardo Muti and the Philadelphia Orchestra, and debuted at Carnegie Hall at age 17 with the St. Louis Symphony. Bell received the 2007 Avery Fisher Prize and has recently been named Musical America’s 2010 “Instrumentalist of the Year” and an “Indiana Living Legend.” He received the 2003 Indiana Governor’s Arts Award and a 1991 Distinguished Alumni Service Award from his alma mater, the Jacobs School of Music.